Welcome to Ideal Smile Dentistry! Our skilled, friendly, and helpful dental team is thrilled to offer comprehensive dental care to help you and your family members reach your oral health goals. 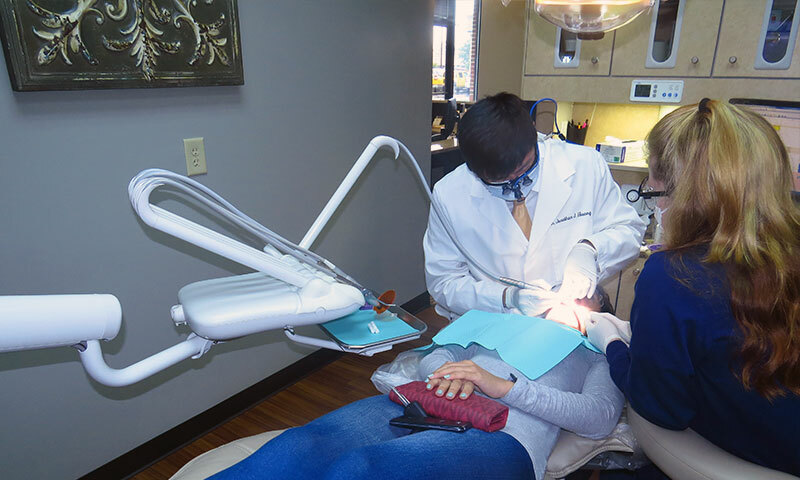 Dr. Jonathan Hwang and Dr. Jae Ham are proud to serve people of all ages, new patients, returning patients, and patients with dental emergencies with our many dental talents. We are delighted to provide a homey, comfortable, and relaxing atmosphere to give all of our patients a positive and comforting dental experience! To accommodate your family’s unique needs, our team speaks English, Korean, and German. 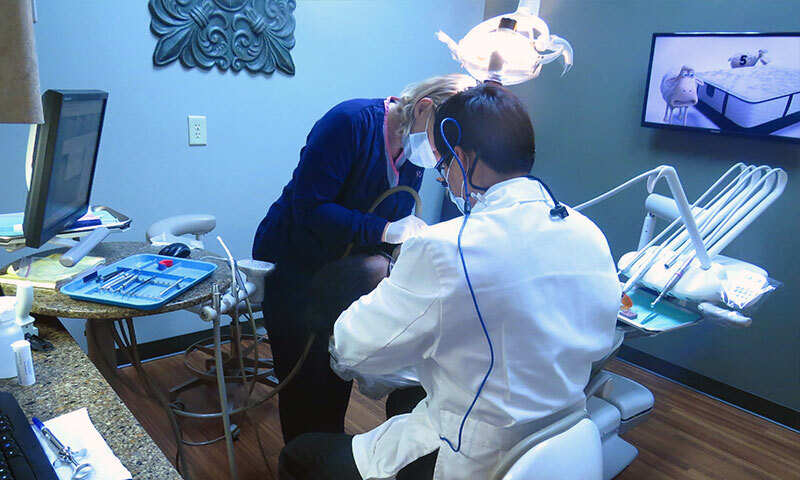 Our dentists are pleased to offer cosmetic and family dentistry in Columbus, Georgia, and the surrounding areas of Auburn, Phoenix City, and Opelika, Alabama, for your convenience. With our many services, we are able to give you the smile you have always wanted, whether it means replacing your missing teeth, restoring the health of a tooth, or treating gum disease and periodontal disease. We care about you and your oral health, and we are here to give you the best dental experience possible with our many beneficial, comprehensive dental services. Are you interested in enhancing the appearance of your smile? If so, our talented dental team is thrilled to help you with cosmetic dentistry! We offer high-quality treatments that will transform your smile from bland to brilliant, and we are so excited to make your dream smile a reality. 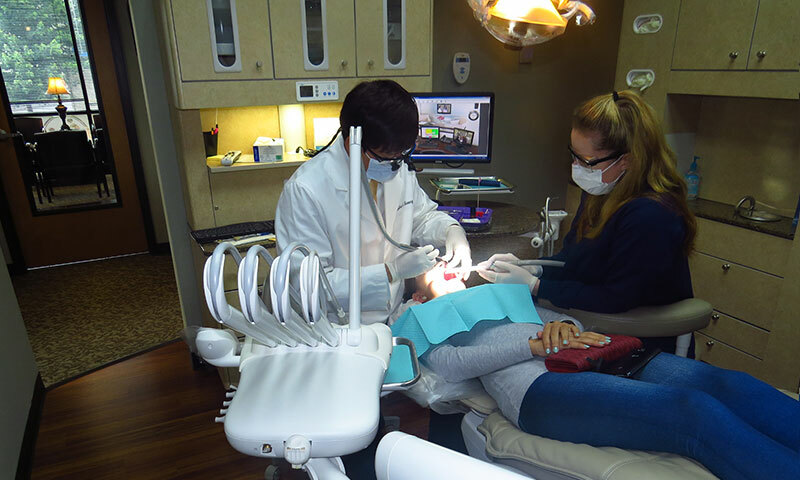 When you come to Ideal Smile Dentistry, we work hard to provide a relaxed, comfortable, and homey environment to help you have the best possible dental experience. 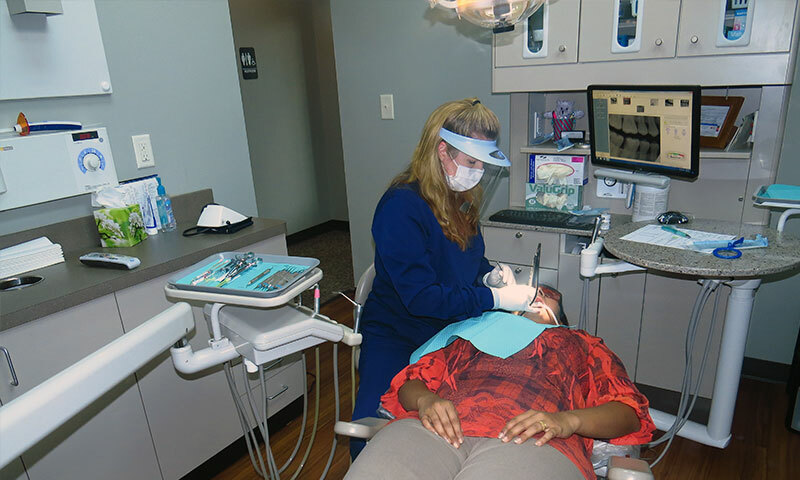 We are happy to provide a high-tech office that caters to your dental needs—no matter what they are. We are also thrilled to have televisions in our dental rooms to give you an entertaining, fun, and relaxing experience. At our practice, we conveniently work Monday through Friday 9:00 a.m. – 5:00 p.m. and one Saturday a month from 9:00 a.m. – 2:00 p.m. for yours and your family’s benefits. Our team has proudly cared for our patients for eight years, and we look forward to many more years of serving our community. To learn more about us, please call our office today and browse our website. We look forward to working with you!